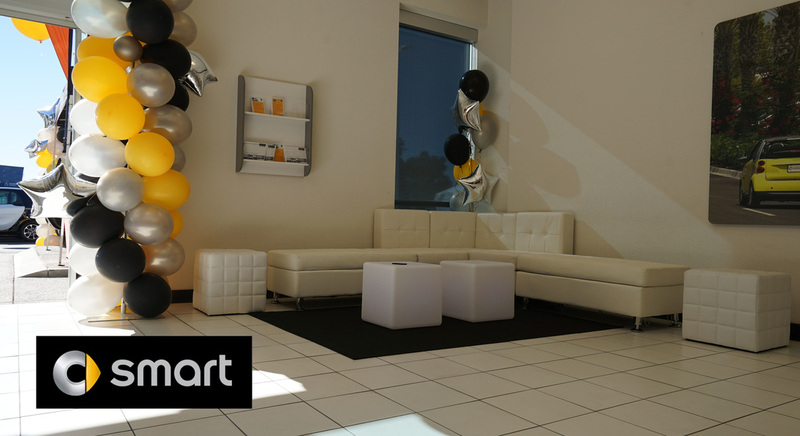 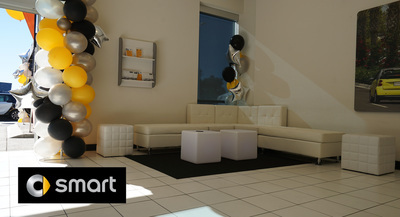 The perfect Event VIP Lounge is just a few clicks away. 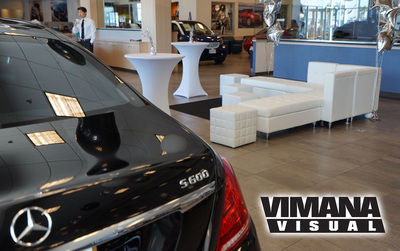 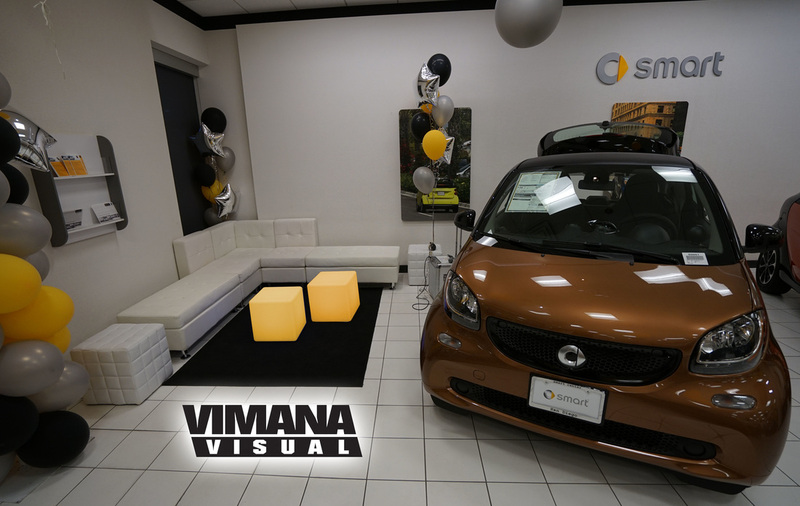 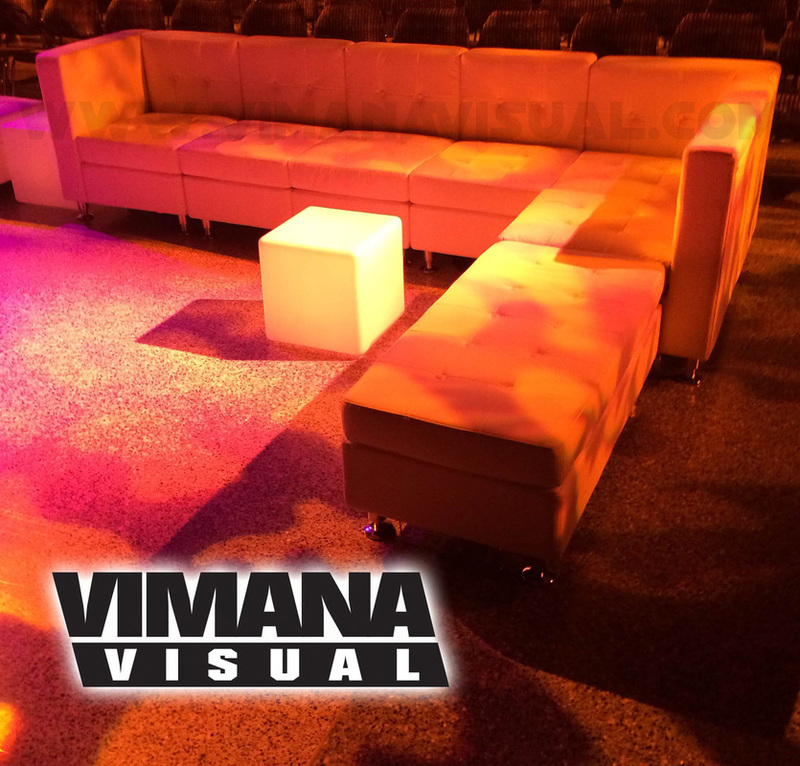 Event VIP Room or Hospitality Area Rental from Vimana Visual will be great for your next corporate ﻿or special event. Event guests deserve a swanky area to lounge, eat, drink, hangout and mingle at while at your event. The idea is to keep them ﻿at the event right? 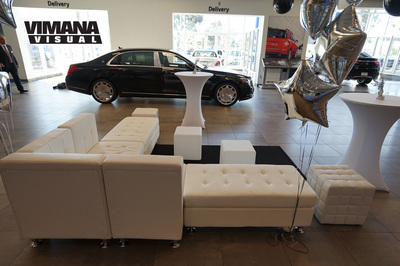 Of course, then provide the event guests with a comfortable, luxurious lounge area where they can sit, relax and enjoy spending time at the event venue. Make your Event VIP Room private or open to all the guests, it's up to you. 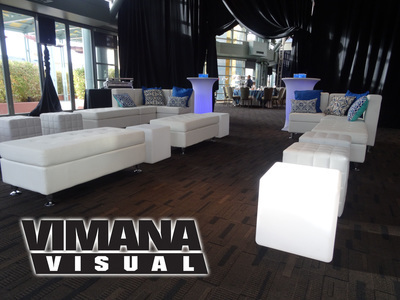 We also offer post and stanchion areas to create balance in all hospitality areas. 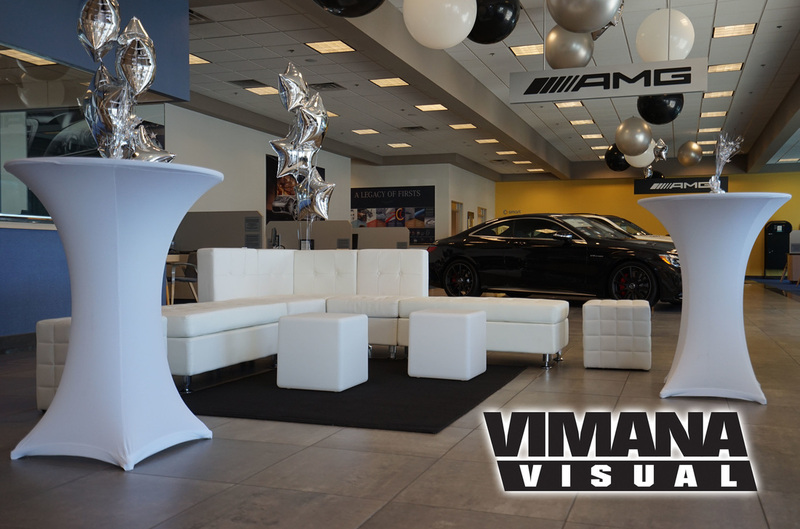 Allow all of your guests to feel welcome and catered to at your special event. 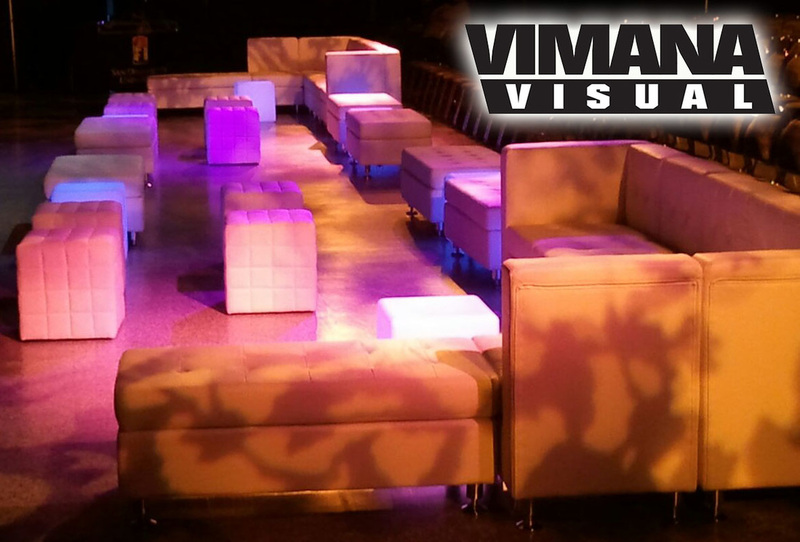 ​Create that VIP Lounge sitting area and contact us now to book our Event Lounge Furniture Rentals for your Event VIP Room. 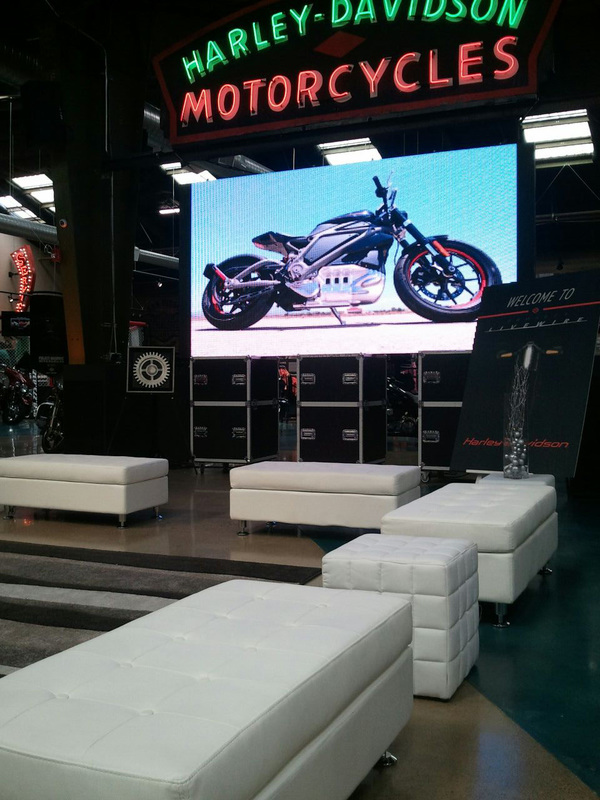 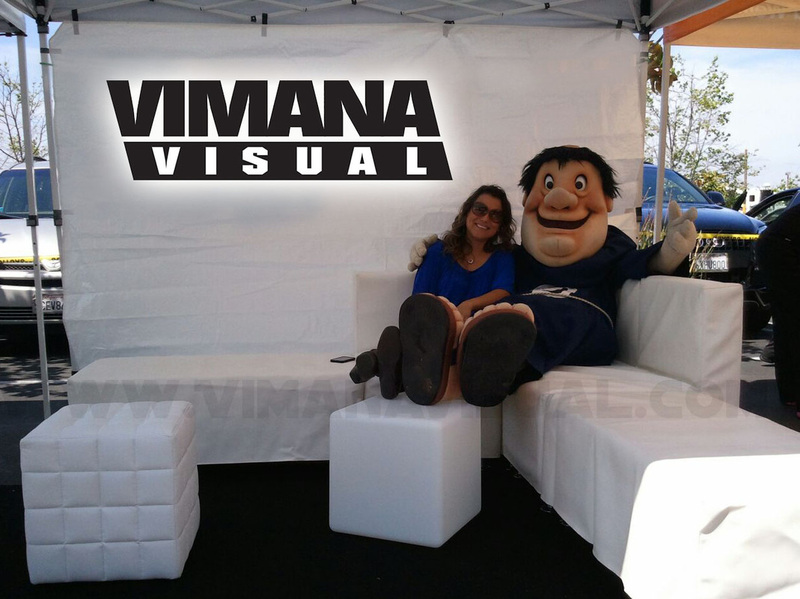 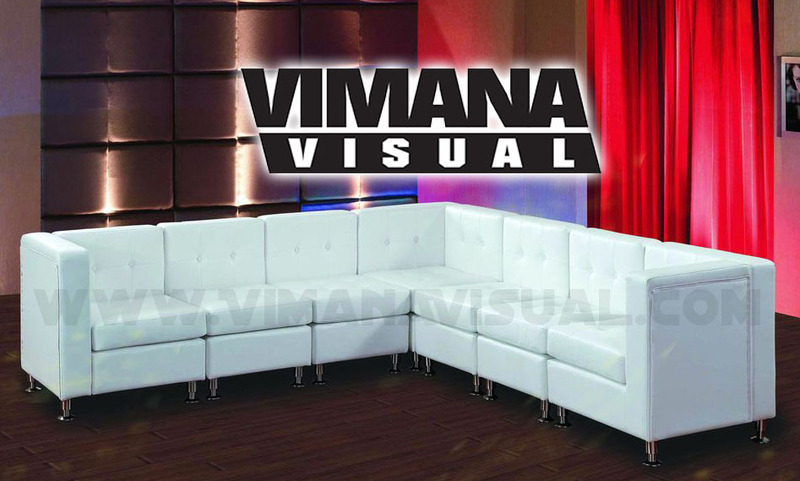 Vimana Visual offers beautiful, modular, leather lounge furniture rentals for indoor and outdoor special events. 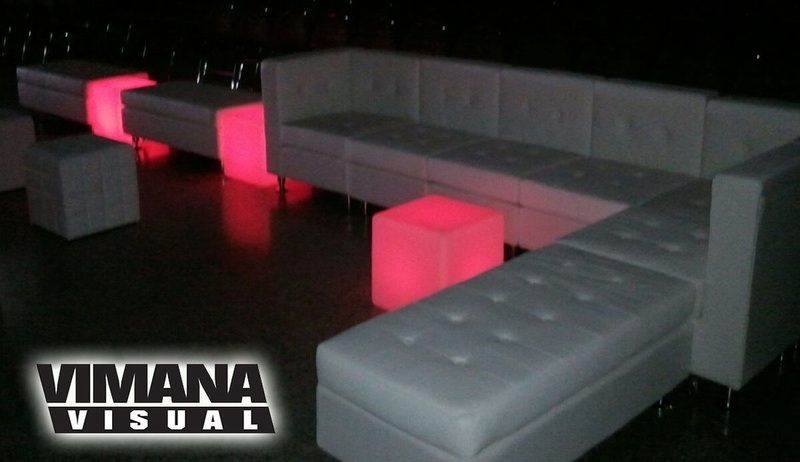 Create a luxurious atmosphere by having lounge furniture at your next Corporate or Promotional Event, Soiree, Wedding Reception, Sweet 16, Quinceanera, High School Grad Night, Prom or party for your guests and family members to enjoy and relax. 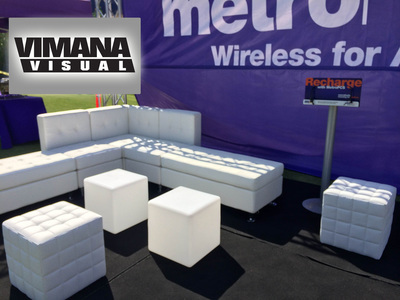 Imagine a custom "Logo Branded" corporate hospitality lounge area for your next promotional event, a Club VIP look or just a really nice lounge area for all to enjoy. Contact us directly to discuss some unique options for your Event VIP Lounge Furniture Rentals that our competitors don't offer. 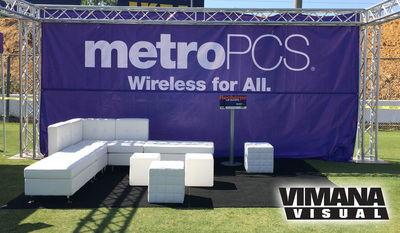 Planning an Outdoor Event VIP Room Rental? 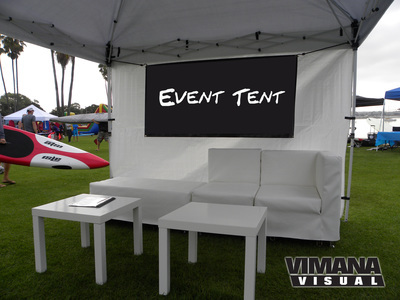 Put your Event VIP Room under a nice custom tent rental or canopy. 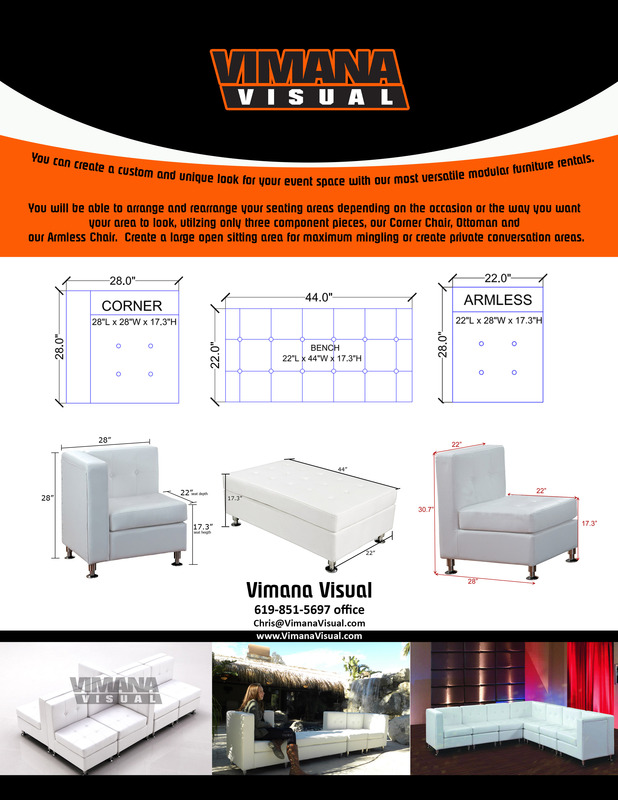 We have several choices for you to rent. 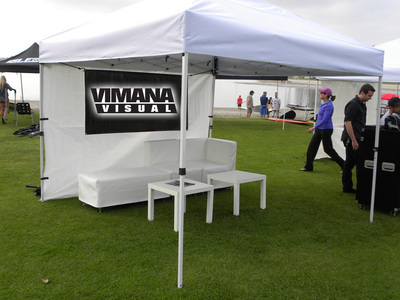 From cool pop up canopies with window walls, to our new unique inflatable dome structures. Shade is something very important to not forget when planning your outdoor event. 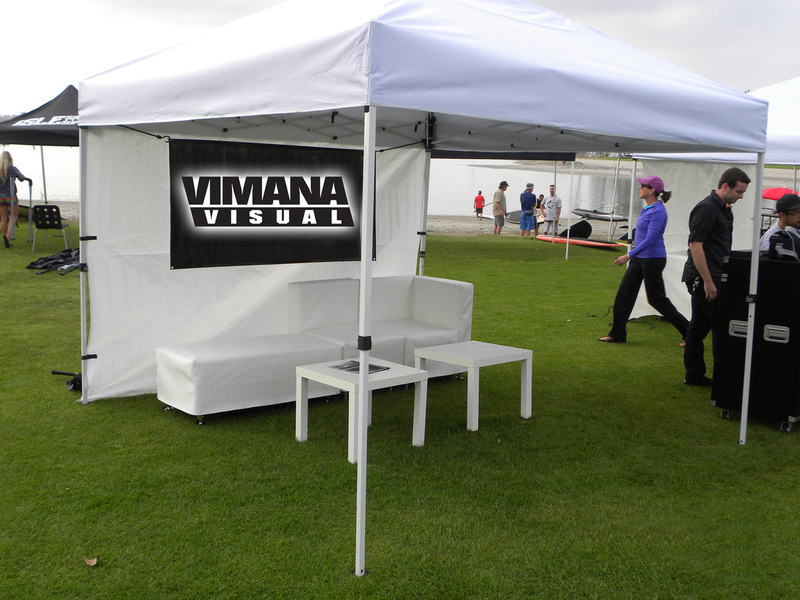 Event guests will appreciate an area to go sit and relax in the comfort of shade. 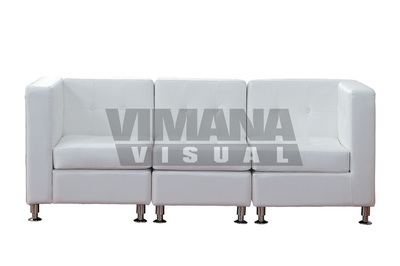 Perhaps you could tie it in with a buffet area or beverage station? Brand your Outdoor Event VIP Room Furniture with your corporate Logo, so not only do you provide some comfort and style but create brand awareness at your event as well. Vimana Visual offers a variety of Lounge Furniture configurations, to fit every venue, bar areas, patios, tents and canopies. Planning an Indoor Event VIP Room Rental? 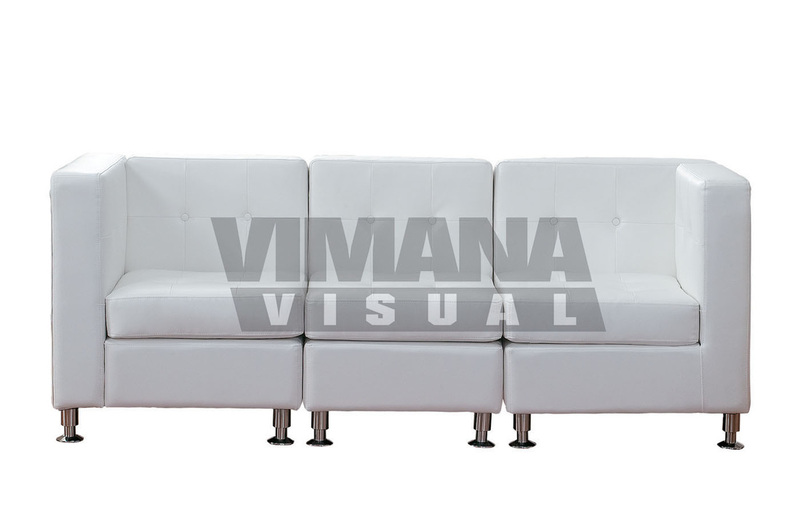 Our V2 Modular Lounge Furniture is simple to get thru narrow door ways, and in and out of tight, skinny hallways, elevators and small pathways. 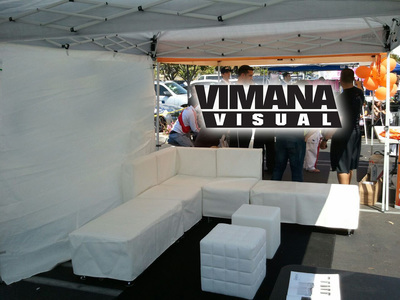 Vimana Visual will set up our Modular Event Furniture Rentals to fit your look or style you wish to create at your soiree or venue for your Event VIP Room. Please contact us for footprint measurements on our event lounge furniture rentals or click here for furniture sizes. 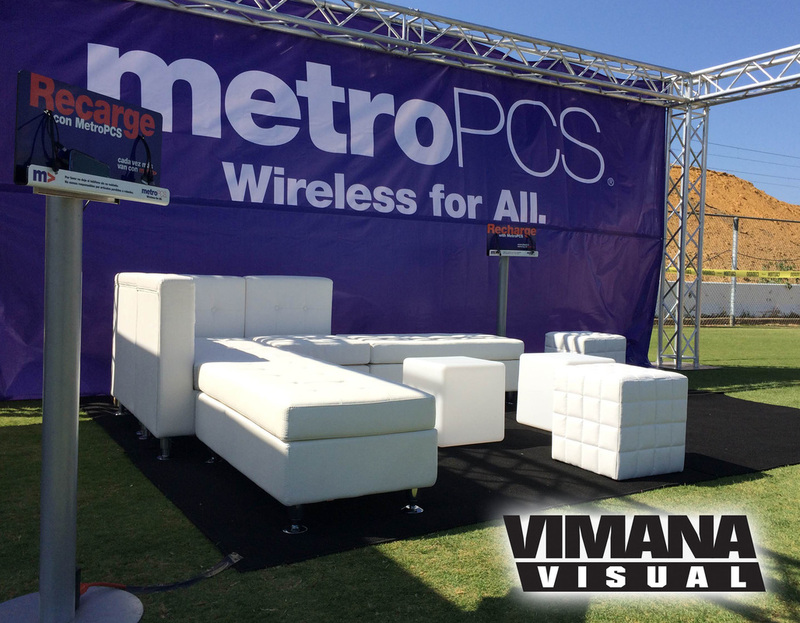 Please contact Chris at 619-371-3700 or 619-851-5697 cell with any questions.